Strongly bolting, very tall hardneck with wide dark green leaves. Plants are cold hardy, but adaptable and grow well in most areas of the US. 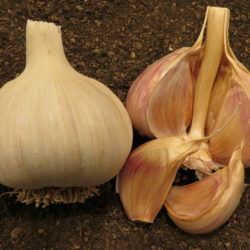 Porcelain bulbs may be the most elegant of all garlic’s. 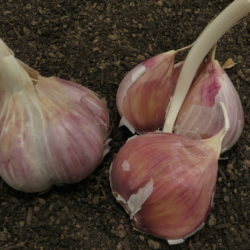 Large bulbs with 4 – 6 cloves and white wrappers. Generally strong tasting with earthy tones. 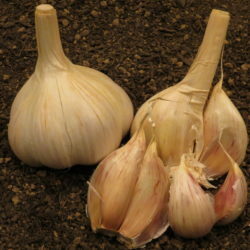 Porcelains mature in late season with a high yield of allicin. Stores well, longer than Purple Stripes.